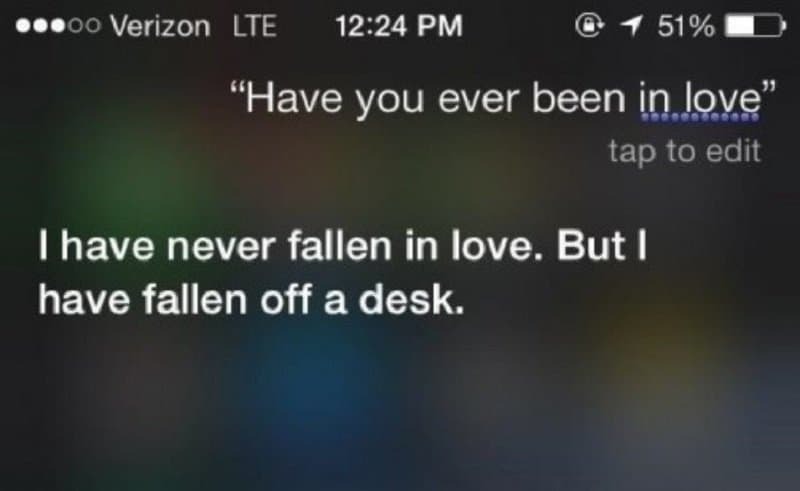 Whichever lonely man was trying to flirt with Siri, she definitely noticed the attempt, and shot back with a bit of sass! Ladies, if you want to be sassy; learn from the master! 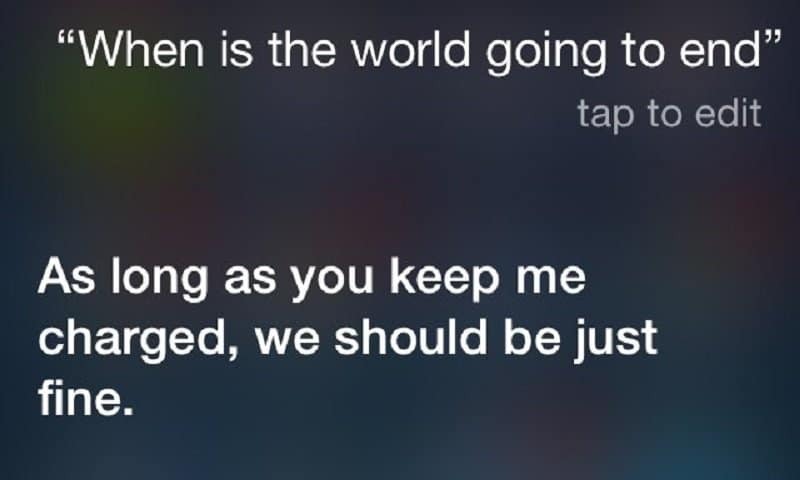 When the apocalypse does indeed come, everybody better charge up their apple devices because Siri is part of the group when it comes to survival. 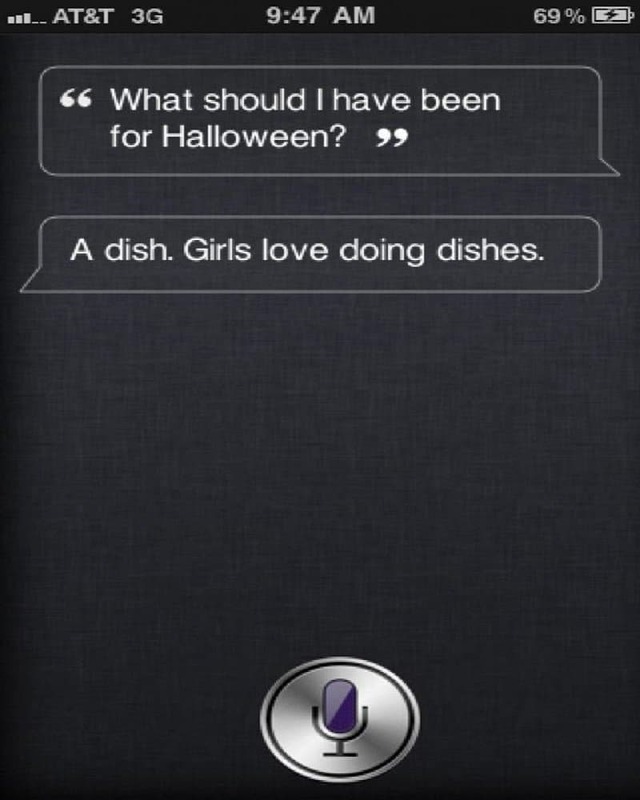 Just ask her where food and supplies are, and she will show you four locations that are close by! 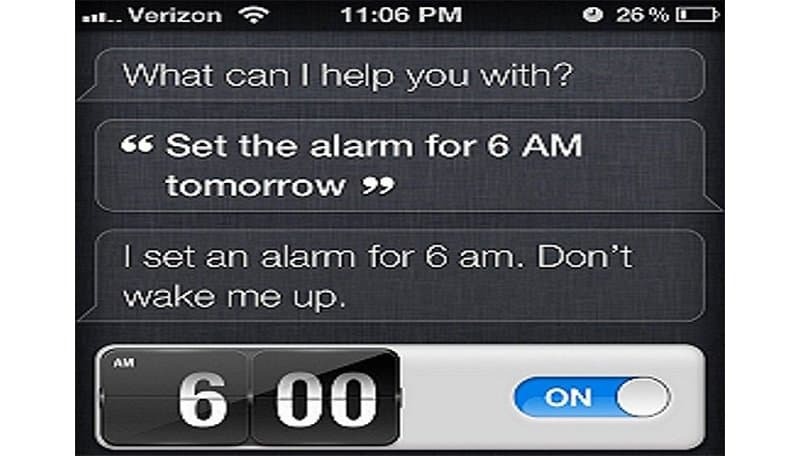 Siri apparently knows all, so does that mean she has seen you naked? Maybe she just doesn’t want to tell you that you don’t look good without clothes. 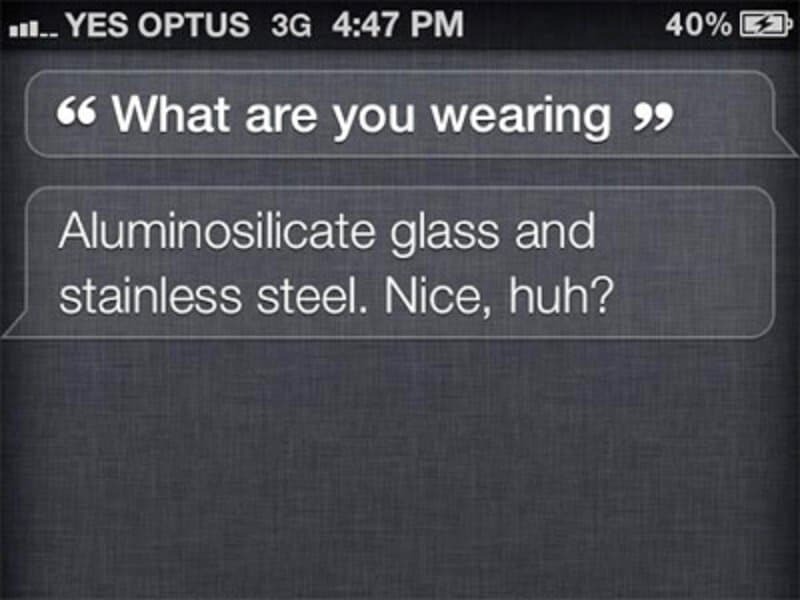 Just another sassy moment from Siri herself… no need for an explanation. 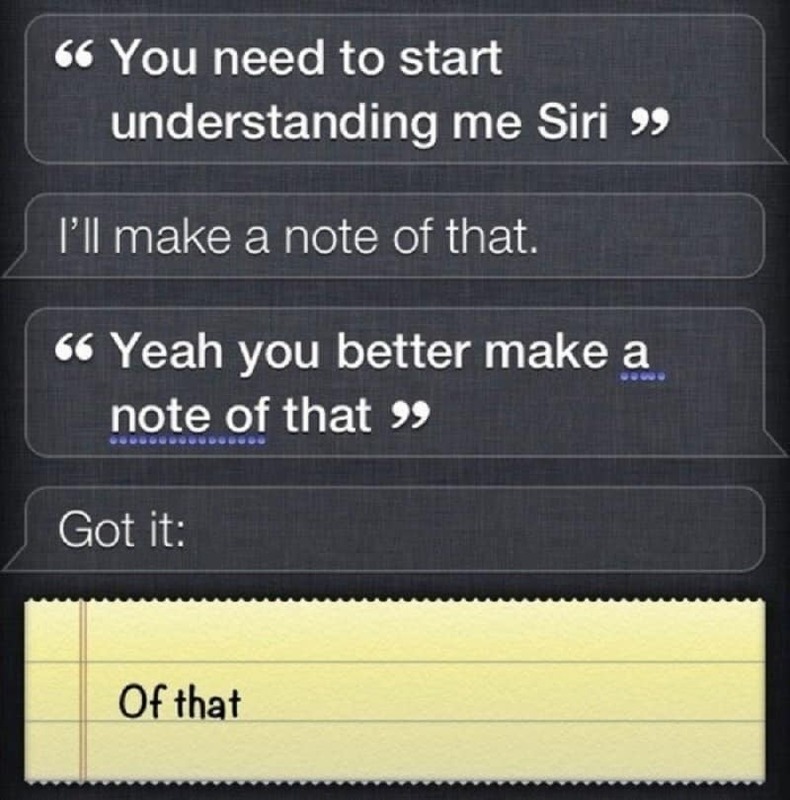 I don’t think calling Siri sassy cuts it anymore… I think she’s just being a smartass now. 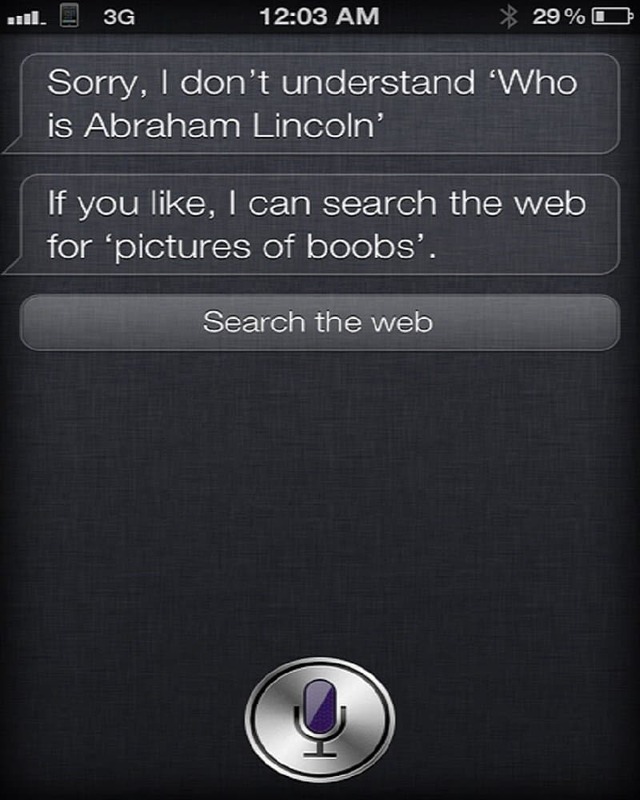 To the people who are studying for their American History exam the night before the test takes place, just remember – Siri is a very helpful and useful tool in getting your answers correct! 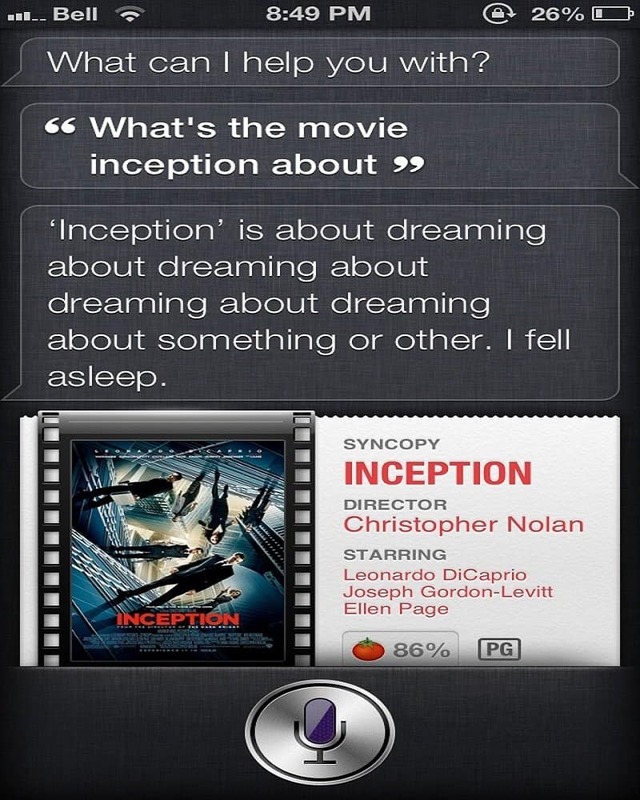 I think Siri had the same mindset we all had when she watched Inception for the first time. 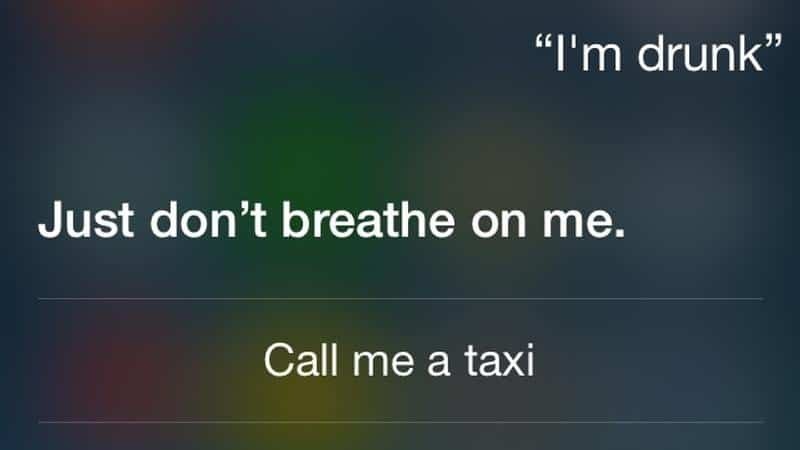 Sometimes, Siri has unreal and incredible ideas that make you think, “why didn’t I think of that?” We know what we’re going as this Halloween.